The release of 2012 Topps Baseball Series 1 is 9 days away. 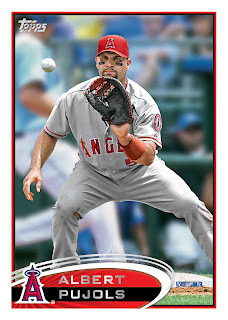 In addition to the Golden Giveaway, Prime 9 and an exclusive wrapper redemption program, 2012 Topps Baseball Series 1 will feature the first card of Albert Pujols in his Los Angeles Angels of Anaheim uniform. 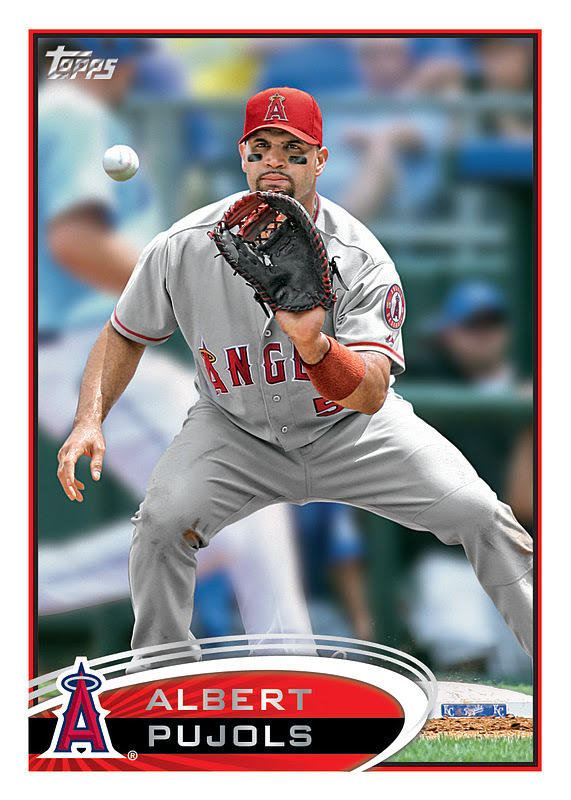 A limited quantity of card number 331 with Pujols decked out in his new threads will appear in packs as well as an updated card for Jose Reyes, card number 332, in his new Marlins uniform. Both cards will appear again in Series 2 in full quantities and with updated photography. 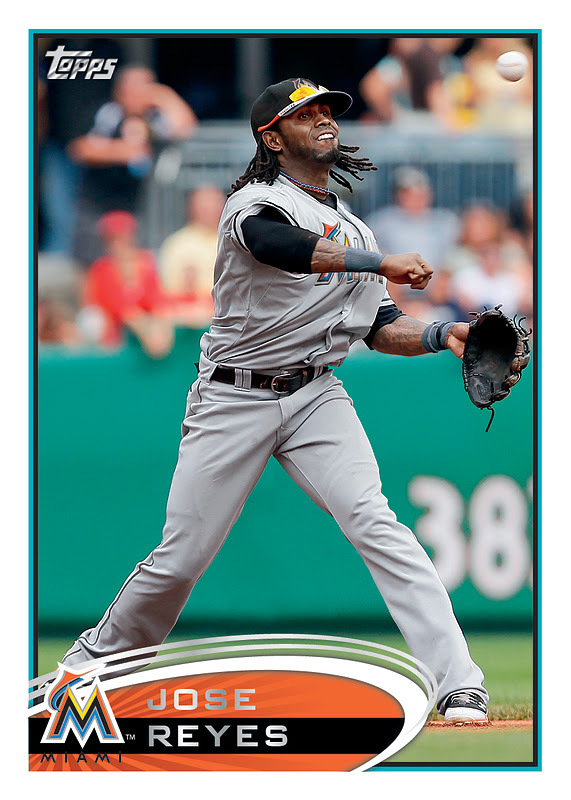 In his new threads or in his photoshopped threads?